Scholars from the University of Tübingen have discovered a 17th century Chinese translation of large parts of De re metallica or On the Nature of Metals, a mining handbook written by Georgius Agricola in 1556. A German Jesuit missionary carried out the translation at the Astronomical Bureau in Beijing between 1636 and 1640. His superior, Li Tianjing, hoped the work would promote mining and ore production, and thus increase revenue urgently needed by the Ming Dynasty (1368-1644), which was threatened both by domestic rebellions and external invasion. The initiative came too late, however, and in the spring of 1644 the Ming government collapsed under the onslaught of rebels and the ensuing invasion by the Manchus, who founded the Qing Dynasty (1644-1911). Until recently it was assumed that the translation manuscript and any copies had been destroyed in the turmoil. 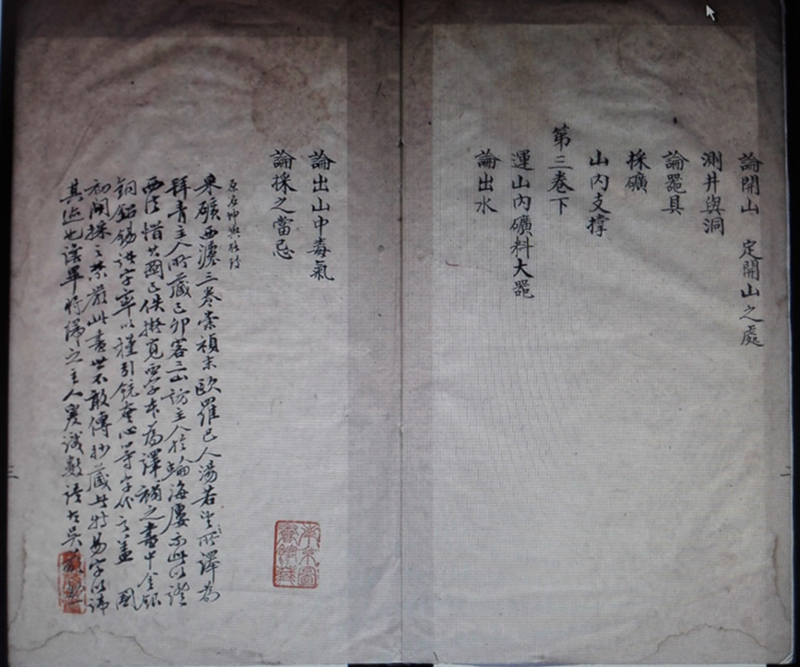 Recently, however, the manuscript was found at Nanjing Library after more than 350 years. This attracted the attention of Tübingen’s Professor Hans Ulrich Vogel, Chair for Chinese History and Society and an expert in Chinese mining history, who had written on the subject more than 25 years ago. All members of the premodern section of Tübingen’s Sinology will now participate in an ambitious project which aims to translate the “Chinese Agricola” into English and German, to make a historical reconstruction of the transmission and translation into Chinese of De re metallica, carry out a multi-layered analysis of the political, social, economic and cultural conditions of this inter-civilizational encounter as well as evaluate the relevant historical events in a comparative history of early globalization. Numerous institutions and scholars from Germany and all over the world will collaborate in this project, uncovering the untold story of the spread beyond Europe of the work of Agricola, one of the intellectual giants of the German Renaissance.